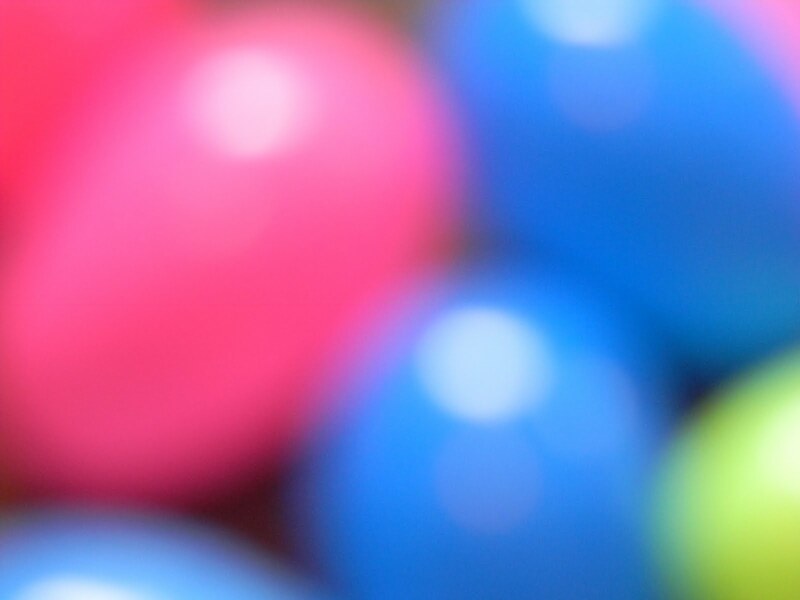 Did you know that playing with Easter eggs could help your baby build cognitive skills? Removing eggs from a basket, dumping a basket, or putting eggs into a basket can build cause and effect. Once your baby is able to sit up (or sit with help), you can put some Easter eggs into a bowl or a basket. Your child won't be able to resist all of the brightly colored eggs. If he isn't interested at first, shake the basket and draw his attention with the noise of the eggs. He may put his hand in the basket and accidently grab an egg at first. Over time, he will learn that he can use his hands to grab eggs out of the basket. Put all of your eggs in one basket-- and encourage your baby to "spill" the basket. Dumping eggs out of the basket is another great way to practice cause and effect. As your child progresses, he will be able to pick up objects and drop them into a basket. We like to practice picking up eggs by singing a special song. Put all the eggs in the basket. You could also write letters on the eggs and sing, "Pick up the Ls and put them in the basket." We are having fun playing with our Easter eggs. 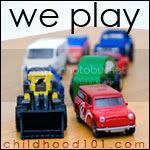 Check out what other families are playing here. Thanks for these great ideas. My littlest is just getting to this age and I needed the reminder that he can start playing with us too! Lovely ideas Jackie. I really like those plastic eggs you can get and fill with little plastic toys etc It's such fun when toddlers learn to pull them apart!